We probably have 100 pictures in the Henge category on our bookmarks list. Many we hoped to post have proved elusive, most because emails and comments asking permissions for photos have gone unanswered. Since today has been a different kind of day in our world, here is a different kind of post. Normal posting will resume tomorrow, barring unforeseens. 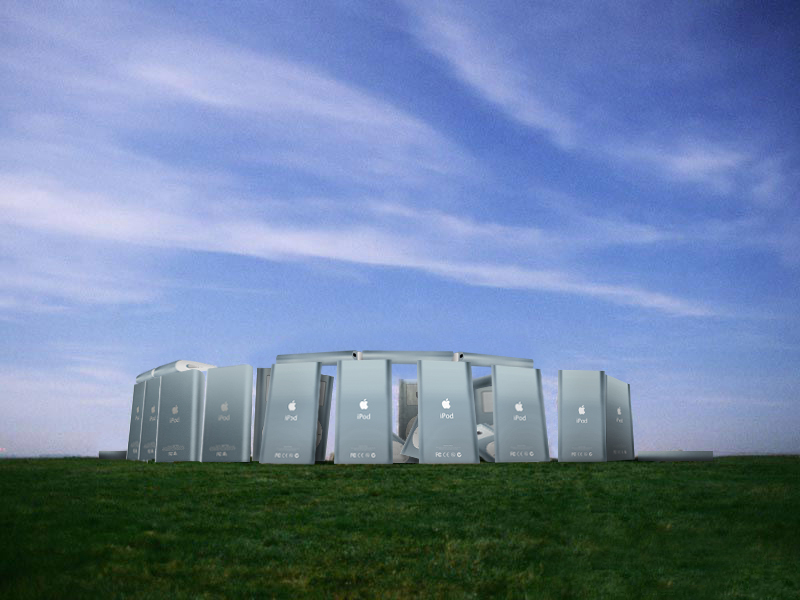 These are the best from among the Stonehenge replicas we have been unable to post. Plane Henge, another work by the Mutoid Waste Company, in Australia. What appears to be a wooden Stonehenge model. A mysterious miniature Stonehenge replica built on a little hill. If anyone knows where this is, please tell us! A nice garden henge–with added Buddha and Easter Island head! From, fittingly for today, the Obama Gardens of Hope. And one of our very favourites: a virtual glasshenge.